14 November 2016 – On 28 October 2016, the nations of the world re-elected Saudi Arabia to a seat on the United Nations (UN) Human Rights Council (HRC). Saudi won its bid to a seat on the Council by running unopposed. Regardless of the circumstances of its election, UN and HRC member states should freeze Saudi Arabia’s position on the Council and suspend its rights of membership, because it is committing flagrant human rights abuses in Yemen. Saudi Arabia’s involvement in the conflict in Yemen has led to a significant deterioration of Yemen’s humanitarian situation. Prior to the Saudi-led coalition’s campaign, which started in March 2015, Yemen had already been among the poorest countries in the region. It faced numerous challenges, including high population growth, severe urban-rural imbalances, food and water scarcity, and economic stagnation. In 2014, nearly 54 percent of all Yemenis—about 25 million—lived below the poverty line, while unemployment rates were at 40 percent among the general population and 60 percent among the youth. These problems have been exacerbated not only by the war, but by the Saudi-led coalition’s bombing campaign, which has targeted civilians and the country’s infrastructure. The coalition has bombed hospitals and destroyed critical buildings like water structures, bridges, airports, and seaports. The coalition’s airstrikes have hit weddings, a funeral, markets, and schools. In addition to the material destruction caused by the coalition’s bombing campaign, the airstrikes have killed thousands of civilians. The UN has estimated that the coalition’s bombing campaign is responsible for 60 percent of all child deaths in the conflict. The Government of Saudi Arabia’s actions in Yemen have imperiled the lives of millions of Yemeni civilians. Despite evidence demonstrating Saudi Arabia’s disregard for civilian life, it has shown no remorse. Rather, Saudi Arabia’s continued involvement in the conflict signals its dismissal of human rights. Its election to the HRC is an implicit endorsement of the government’s dismissal. 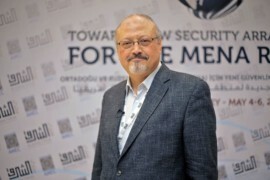 As a result, Human Rights Watch and Amnesty International have called for Saudi Arabia to be stripped of its rights of membership in the Council. There is a mechanism for this. Article 8 of the Human Rights Council’s founding resolution provides that “the General Assembly, with a two-thirds majority of the members present and voting, may suspend the rights of membership in the Council of a member of the Council who commits gross and systematic violations of human rights.” No UN body has passed resolutions or decisions clearly defining what constitute “gross and systematic violations of human rights.” However, the UN’s Commission for Human Rights’ Procedure 1503—the UN complaint mechanism—considers this to include violations that involve several victims and a certain number of breaches over a minimum period of time, which are particularly inhuman or degrading in character. Saudi Arabia’s involvement in the war in Yemen meets this threshold. States on the Council should move to invoke Article 8 and suspend Saudi Arabia’s HRC participation.